I know you've heard this time and time again but it's true! Drinking more water helps your skin, flushes toxins, and reduces bloat. Not all water is equal though; never drink from the tap unless you have a filter. Trace metals, chemicals, fluoride, and other toxins can be found in tap water, and even in bottled water. Rather than spending hundreds of dollars a year on bottled water, purchase a reverse osmosis filtration system for your home. Add lemon and and drink a cup of tea a few times a week to boost your metabolism and help detoxify your body. If you don’t enjoy drinking plain water, try adding natural sugar free flavor packets, cucumber slices, or fruit. 2. Forget bread and dairy. Studies show there are hardly any nutrients in these foods (during the processing, all the vitamins are zapped from them. Companies then try to add them back in after but they are largely ineffective). If you can’t give up bread, try gluten free, or just make sure it is 100% whole wheat. Dairy is bad for your skin and digestion. If you can’t give it up, try to limit your amount to 1 or 2 small servings a week. If you are going to eat dairy, try taking a lactose pill before to help it digest in your system. Cut back slowly by making small changes. For example, if you order pizza ask them for thin crust and to go light on the cheese. Try milk alternative products, but watch out for added sugar. Try adding stevia and a few drops of vanilla to unsweetend Almond milk for more flavoring. 3. Sugar is the devil. Sugar causes a host of problems on the body; among them are diabetes, weight gain, mood and energy swings, digestive issues, cancer, bone deterioration, and nutrient depletion. Choose natural, calorie free sweeteners like Truvia. Try grabbing fruit (dried is ok as long as there is no added sugar) and Stevia soda instead of regular soda when your sweet tooth kicks in. If your like me and can’t stand the taste of most vegetables and tire of salad, an easy way to get your daily recommended servings is to try juicing. If you don’t like the expense and mess of a juicer, there are tons of stores that can make fresh juices for you for around 5 dollars. I personally like Whole Foods’ juicery. I order a large Green Goddess several times a week and it fills me up for hours and gives me tons of energy with no crash. The more fruits you add in, the less veggie taste you get. Sometimes at home I’ll add a small scoop of chia seeds, protein powder (great for weight loss), and wheatgrass. 5. Take Supplements and Vitamins Daily. Not all are created equal, make sure you do your research on different brands. 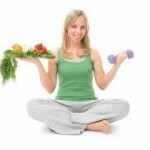 Normally anything sold at health stores such as Natural Grocers and Whole Foods are good quality. Take a whole vitamin at least once a day. 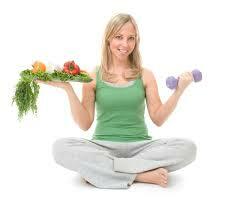 If you want to go the extra mile, get evaluated by a nutritionist or at a holistic health center. Miranda Kerr swears by Coconut Oil and drinks several tablespoons a day. You can also buy this in pill form if you don’t enjoy the taste. Health experts also recommend taking fiber supplements everyday. Noni, aloe vera, acai, and reservatrol also have amazing health benefits and should be included in your diet when possible. Thanks, I hope you enjoyed these tips! Preston: Whereabouts are you from? Isabella: How many weeks' holiday a year are there? Wilmer: Can you put it on the scales, please? Hannah: How much will it cost to send this letter to ? Marissa: How do you know each other?